Gov. Bruce Rauner speaks to a crowd of supporters the night he was elected governor of Illinois. Rauner gave his second State of the State address Wednesday morning. As Illinois nears the end of its seventh month without a budget, Gov. Bruce Rauner focused on the need for bipartisan cooperation while pushing for changes that he says the state needs to become economically competitive during his State of the State address Wednesday morning. The governor said he was willing to work with Democrats on initiatives “creating more quality school choice options” for low-income students and pension reform, but did not move on his anti-union, pro-business budget positions. Rauner continued his push to allow local governments to take away bargaining rights from public employee unions, following suit with other Midwestern right-to-work states such as Michigan and Wisconsin. However, Illinois Working Together, a state labor coalition, said taking away unions’ powers wasn’t a compromise, but a way to take power from working class citizens. Because more than 70 percent of Evanston public employees are unionized, switching Illinois to a “right to work” system would have a big impact on city employees, assistant city manager Martin Lyons said. Lyons said changes to unionization practices will have a big impact on upcoming negotiations for union contracts in 2017. While some of Rauner’s proposed changes will have big impacts on Evanston, Lyons said the lack of budget is not affecting the city yet. None of the city’s revenue was being withheld, and Evanston continues to receive tax funds, Lyons said. The main financial effect the city will see from the budget crisis will be in state grants, he added. Teamwork across party lines was not limited to budget talk during the address. Rauner highlighted the bipartisan criminal justice reform commission founded last year and discussed goals to decrease the prison population by 25 percent by 2025. Included in his expressed plan were efforts to enhance rehabilitation programming in jails and prisons, and offer more support for ex-offenders as they try to re-enter society. “These and other reforms will lead to fewer victims of crimes, a better pathway back for ex-offenders and safer communities for all,” Rauner said in the address. 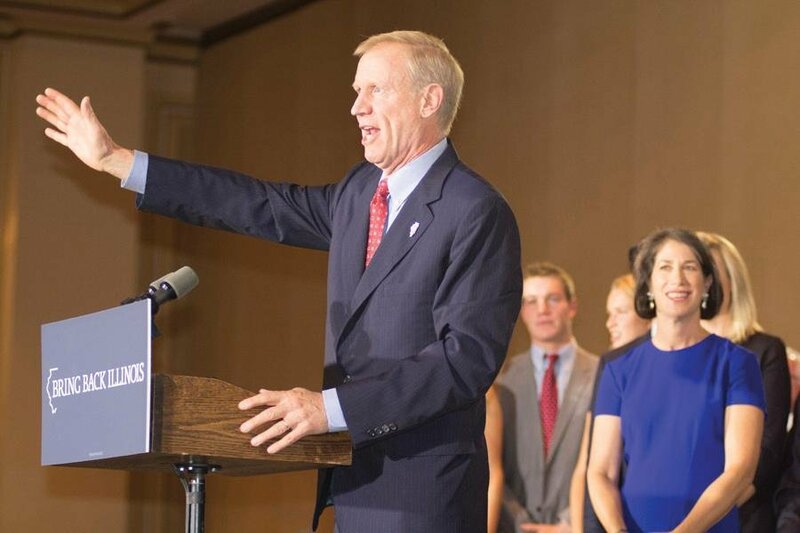 As Rauner emphasized his own concessions, he called on the Democrats in the Illinois Congress to work similarly towards a deal.